Bio | Sea Horse, run! 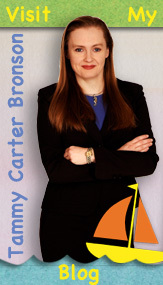 For eleven years Tammy Carter Bronson has traveled across the country inspiring children to be dedicated readers and better writers. She has conducted speaking engagements at more than 560 elementary schools in 20 states presenting to more than 260,000 students. Combined direct sales of Mrs. Bronson’s picture books (TINY SNAIL, THE KALEIDONOTES & THE MIXED-UP ORCHESTRA, POLLIWOG, and SEA HORSE, RUN!) exceed 37,000 copies. 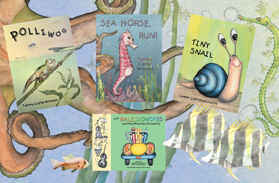 Her fourth picture book, SEA HORSE, RUN!, is the winner of several awards including the 2011 Next Generation Indie Book Award in the children’s picture book category. Mrs. Bronson lives in Fayetteville, Arkansas, writes YA historical fiction in her spare time, and shares her humble abode with her husband, several thousand books, three dogs, and cat. NC/NE Texas Chapter’s SCBWI Conference (2004).